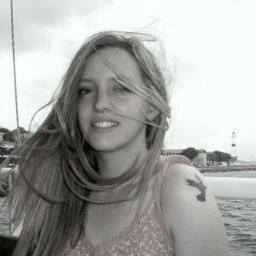 The Thursday Interview: D.M. Cain. Today, I'd like to welcome D.M. Cain, author of “The Phoenix Project” to The Thursday Interview. Before we get started, a quick intro! D.M. Cain is a dystopian and fantasy author working for US publisher Booktrope. 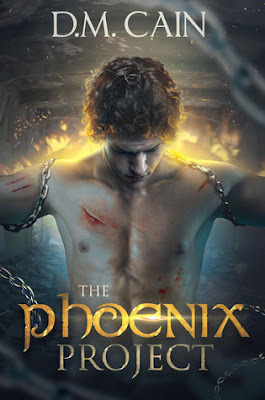 She has released three novels: The Phoenix Project - a psychological thriller set in a dystopian future, Soren – a middle-grade fantasy, and A Chronicle of Chaos – the first in a dark fantasy series. She is currently working on the next novel in the series, 'The Shield of Soren', and a novella to accompany it. D.M. Cain is also a member of the International Thriller Writers and is one of the creators and administrators of the online author group #Awethors. Her short story ‘The End’ was published in Awethology Dark – an anthology by the #Awethors. Cain lives in Leicestershire, UK, with her husband and young son, and spends her time reading, writing and reviewing books, playing RPGs and listening to symphonic metal. I suppose it depends on the law – and the loved one! Would I steal something to save my husband’s life? Yes, of course. Would I murder somebody else’s child to save my long lost aunt – probably not. I think that laws are there to protect people, but there are levels of protection and levels of threat. The most difficult thing is to weigh up which is more important – the protection or the threat level (Am I looking into this too deeply?!) Of course, I would break pretty much every law to save my little son. I think about this often. Going through the motions, the daily drag, simply existing from one day to the next – that’s just being alive. There’s nothing wrong with that, if you want a quiet, peaceful and secure life. For me personally, I want everything from life. We’re on the planet for such a short time, I feel we need to get as much as we can from it in that time. For me, truly living is about experiencing the highs, the lows, and expanding your mind through travelling and learning as much as you can. My stories and my characters are always so loud inside my head. They shout for my attention and I have no choice but to write down what they say! I can’t bear the idea of my stories disappearing into nothingness when I die, without me having written them down somewhere. Of course I would love to see them as bestsellers on the shelves of Waterstones, but really the most important thing for me is just that the ideas are written down somewhere. I am also motivated by the music I listen to. I like to listen to large-scale orchestral music which instantly paints vivid images in my mind. I love to get away from the stresses of being a teacher, author, wife and mother by delving into my own worlds and losing myself in my characters. It is so cathartic for me, even when I’m exhausted from a hard day’s work, and nothing relaxes me more than writing. I think the desire to love and care for child is biologically written into our DNA. For many people, though I acknowledge not all, it’s a deep yearning that you can’t get from anything else. A cat just doesn’t cut it! But it’s also about passing on everything you have learnt and experienced, everything you got from your own parents. I love teaching my little son things. No.5 What was the biggest challenge in creating your book "The Phoenix Project"? In The Phoenix Project, I had to get across a huge range of emotions believably and that was tricky. The protagonist, Raven, goes through anger, hatred, bitterness, isolation, remorse, guilt, friendship and love. Getting all of that to the reader, without having too many long, boring passages where he just thinks, was sometimes a challenge! If you want something badly enough, you have to work your socks off to get it. I’ve set myself many goals in my life. Some of them I’ve achieved, or I’m still working to achieve, and others I gave up on. I sometimes regret the fact I never made it to black belt level in martial arts, but I obviously never wanted it badly enough, so I didn’t work for it. But the things I do desperately want, I know I will never give up on. No.7 How did you come up with the title "The Phoenix Project" ? I liked the concept of purging through fire and allowing rebirth. The twisted government in The Phoenix Project have the idea that fire is to eradicate everything they don’t like, everything they fear, and hope for a more peaceful and controlled society to be born again. But there is a second meaning behind this, a more personal element for Raven himself: Will Raven survive the flames, and allow himself to be reborn again? I’d like to say I handle it well! I wrote an article recently about how I deal with 1 star reviews, and in it I explain how you can take the positives from something so bleak. On good days, I follow my own advice on this. On weaker days, I take things a little more personally! I try not to dwell on the criticism too much though, and the negativity soon passes. I like to think that my book is both entertaining and challenging. It isn’t an easy book to read – it’s deep, dark, philosophical and emotional. But many of my readers have said that it is thrilling and exciting as well. I hope there might be something in it for everybody. Scientists and philosophers have been trying to answer that question for a long time, but I don’t think they’ll ever find a concrete answer. I’d say all of it is just one big, beautiful coincidence. I think it was Richard Dawkins who said something along the lines of ‘Why should there be nothing instead of something?’ I guess there is as much likelihood of either happening, and we were just lucky! Thank you for featuring me on your website - I enjoyed this interview. The questions were tough, but fun!